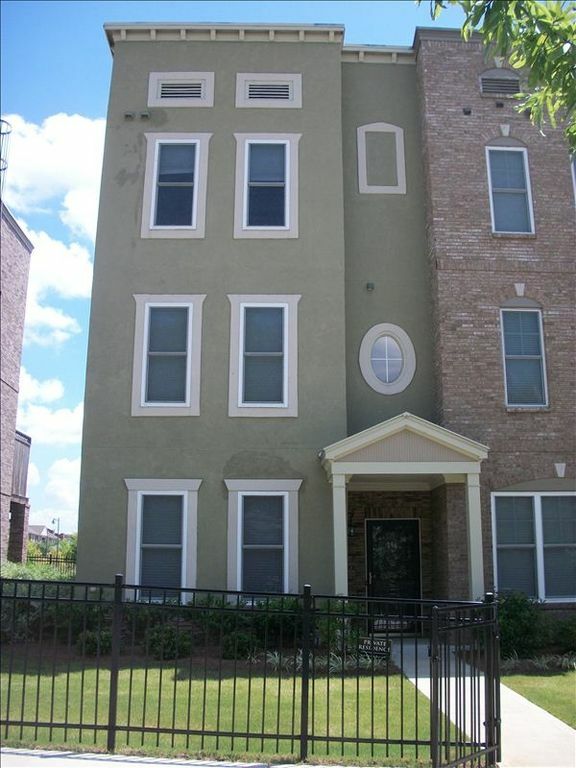 New 3 bedroom, 3 level, 3 1/2 bath townhouse with 2 car garage within walking distance to downtown. Private bath in every bedroom with Jacuzzi style tube and stone tile shower in master bedroom. Large open kitchen with stainless steel appliances. Washer and dryer on third level. Direct TV provided with sport package. Have a drink or BBQ on the large deck while watching the sunset. We have stayed at this beautiful townhouse for a week twice. Once at the end on December 2011 until the end of the first week of Janurary, 2012 and again last year at the same frame. End of December until first week of January 2013. The home is everything you could ask for and close to everything. We attend the Passion Conference and it is a perfect location for us. We would recommend it very highly. We hope to stay for a thrid time this year. The pictures and description are accurate regarding everything. The property was always clean and very well maintained. The owner was helpful and very kind. We would recommend this property to the closest friends or relatives. Myself, wife, son, and mother stayed here for a few days the day after Christmas. It was very nice and comfortable. Nicely decorated. In a very good location, close to everything. We plan on staying here again when in Atlanta. The neighborhood was quiet.